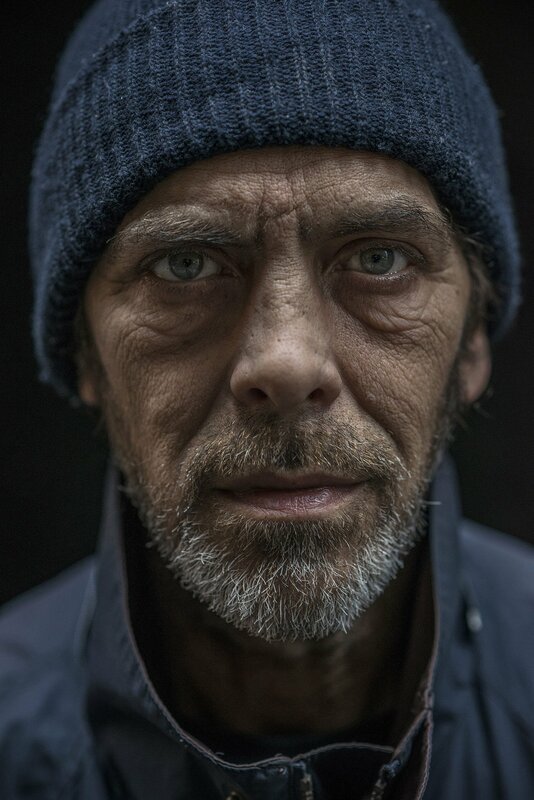 He’s been on the streets of Chicago, addicted to heroin, for seven or eight years. I just texted him to see if he needs some rigs (syringes). He’s from the South Side of Chicago and then the southern suburbs. He does odd jobs and panhandles. He used to own a flooring company, and he employed people. He was married and has kids. Then he became addicted and lost everything. He doesn’t see his family anymore. Most of these people burned bridges with their families. I keep in touch with a couple of their parents, just because I’m involved with this community and people know me, and they sometimes ask if I can let their family know that they’re ok. Every once in awhile I’ll get a call from a parent. And they’ll send me things to pass along — a little money, some clothing, sometimes personal IDs. Homeless people seem to get robbed and lose things all the time. They carry things in backpacks that are often stolen when they’re passed out on the ground. But Jimmy has no contact with family. Jimmy’s relationships were severed long ago.